Maribel loves line drawing since she was in grade school. Today, she often conducts activities for children to enhance their creative mind. My daughter loves Tinkerbell. After she watched the movie Tinkerbell, she did not miss watching the three other movies: The Great Fairy Rescue; The Lost Treasure; The Secret of the Wings. Personally, I like watching these, too because they're beautiful. Watching it in Blueray makes me feel like I'm drawn into the world of fantasy. In 2011, I made these wings for her. She used them in a costume party, then I displayed them in my shop for rent. 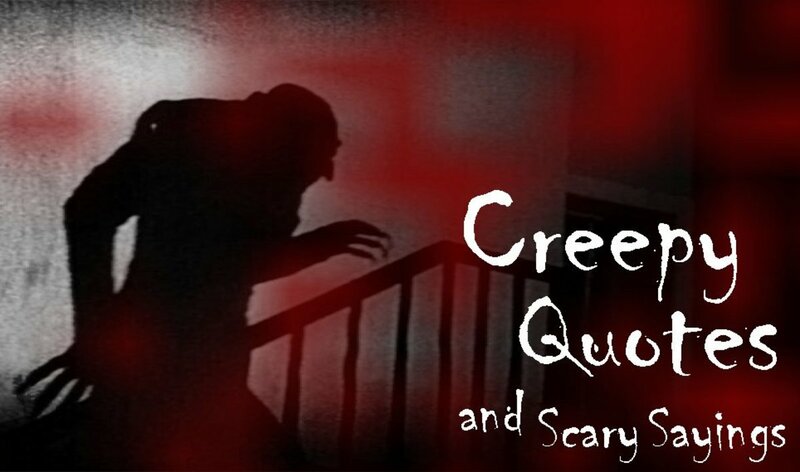 Last Halloween, most parents were looking for fairy costumes rather than scary or bloody costumes. These wings can also be used for other events like themed birthday or holiday parties. Tinkerbell will always be fashionable. Photo shows my daughter wearing her wings in front of my shop. All photos and illustrations here are mine. Before you start, check if you have all materials available—No need to rush to a craft store, you can purchase these materials online. Wire thickness is expressed in "gauge". I selected the following two wires listed below according to the appropriate thickness for this project. For the fabric, you need the 12" to make sure that you will be cutting a single piece. 6" may not be enough to cover the wing spread. Looking at the wings I made, would you opt to follow the steps I laid here or rather buy a ready made wings? 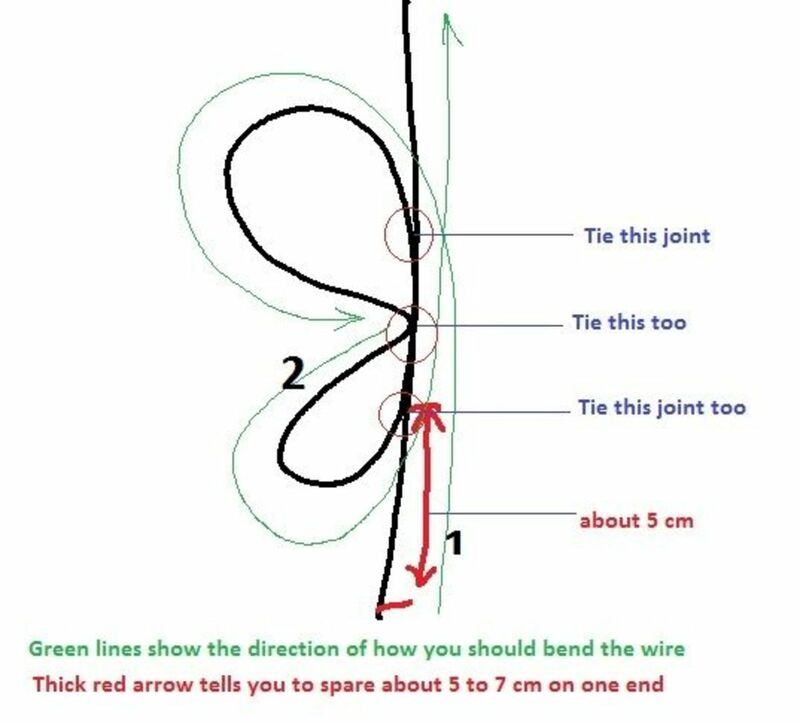 Illustration shows how you will bend the wire. Check the direction as shown by the green thin arrows. It is important to note that you have to leave an overhang (shown by the red arrow). This will be bent (in step 4) to become part of the mid-section of the wings. It will help make the output sturdier. Now, work on the other wing. It looks easier to perform than step 1 but in reality, it is more difficult. 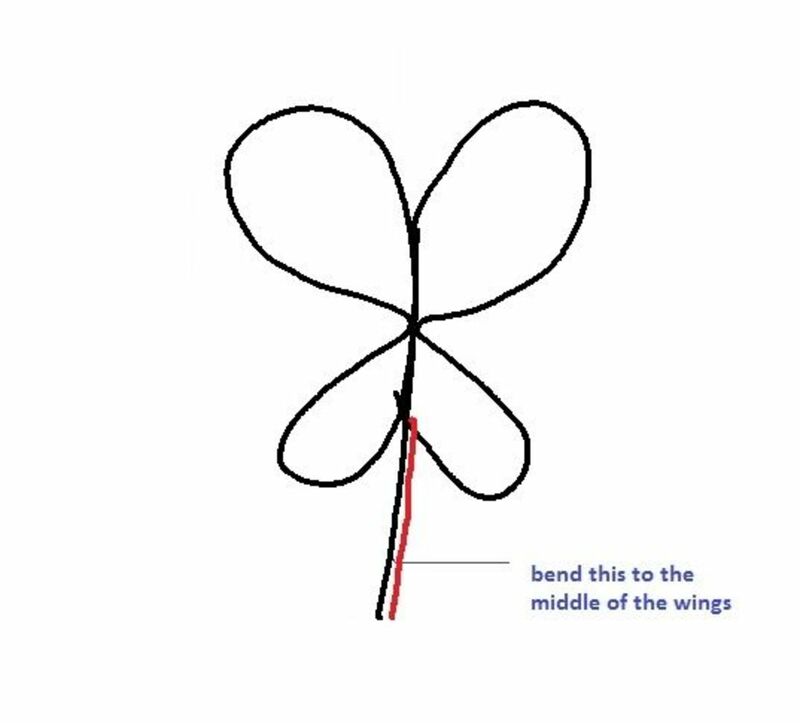 You might need another pair of hands to keep the left wing in place while you are bending the wires to form the right wing. When I was working on this, I placed books on the left wings to keep it steady. 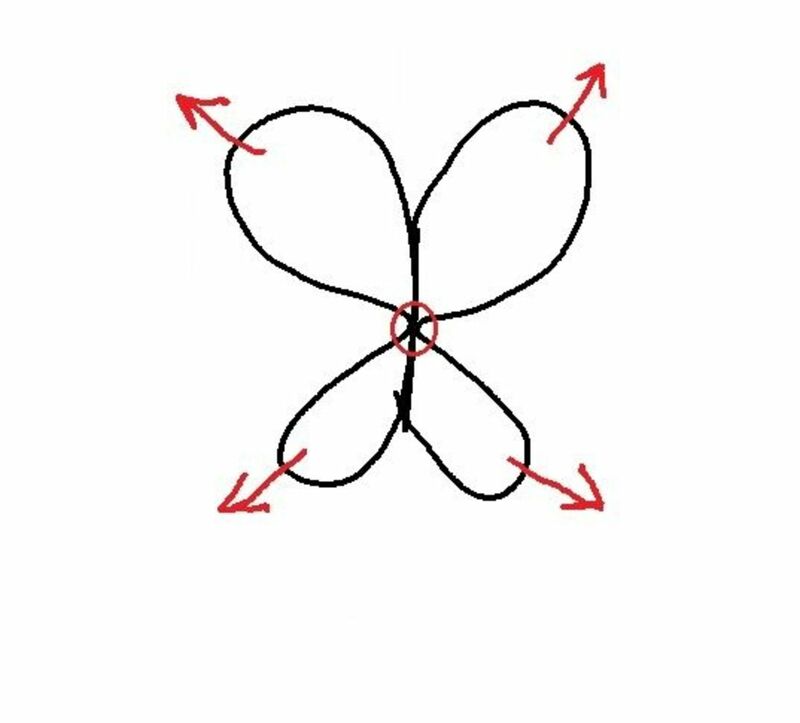 You have to be careful that you are making a symmetrical wing. 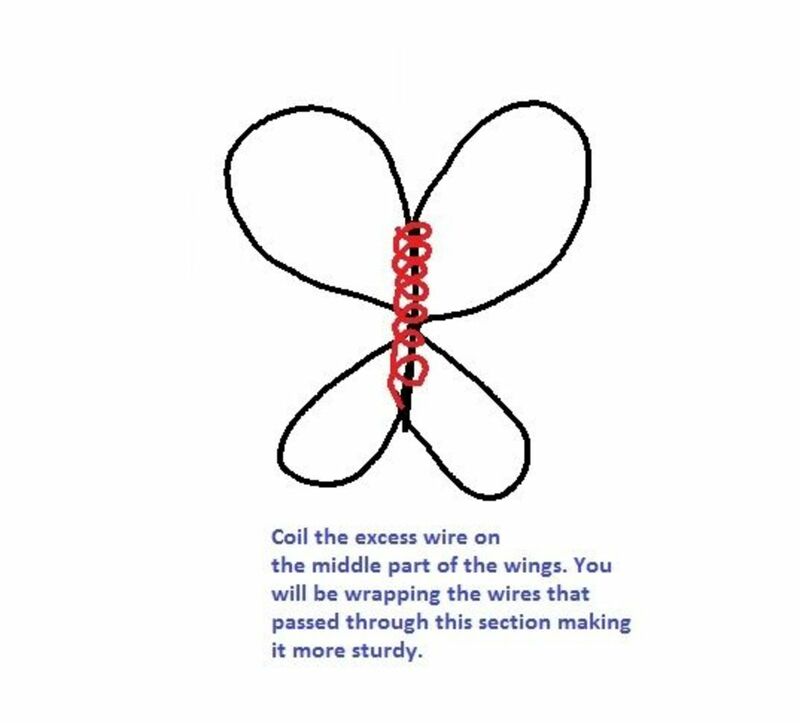 Before securing the intersections/joints, check and counter check that the sizes of the wings are the same. Bend that wire that is protruding. As mentioned earlier, it will reinforce the wings. Using the excess portion of the wire, wrap the midsection by coiling it around all wires that passed through this section. This step is vital because it will hold both sides of the wings. Using pliers, make sure that the end of the wire is not protruding (it may cause injury to the user). You're done with the wires. It's time to put the tulle cloth. With one hand on the section marked with red in the illustration, use the other hand to pull the wire in away from the midsection (as shown by the arrows). I used tulle. Simply trace the wings on tulle fabric (make about 1 cm allowance from the wire), cut and sew it. To hide the stitches, I lined it with a glittered glue stick. This will serve another purpose of securing the tulle fabric on the wires. With a paint brush, apply white glue on the fabric. Then sprinkle glitters. The illustration shows how the glue should be applied. Make it heavier near the wires (I used this technique in making butterfly wings). One purpose of that is to make the wires not visible. Since the fabric is tulle, the wires may be obvious. Prepare a pad around 2 inches by four inches. You can do this by cutting out a cardboard and cover it with foam or soft textile. 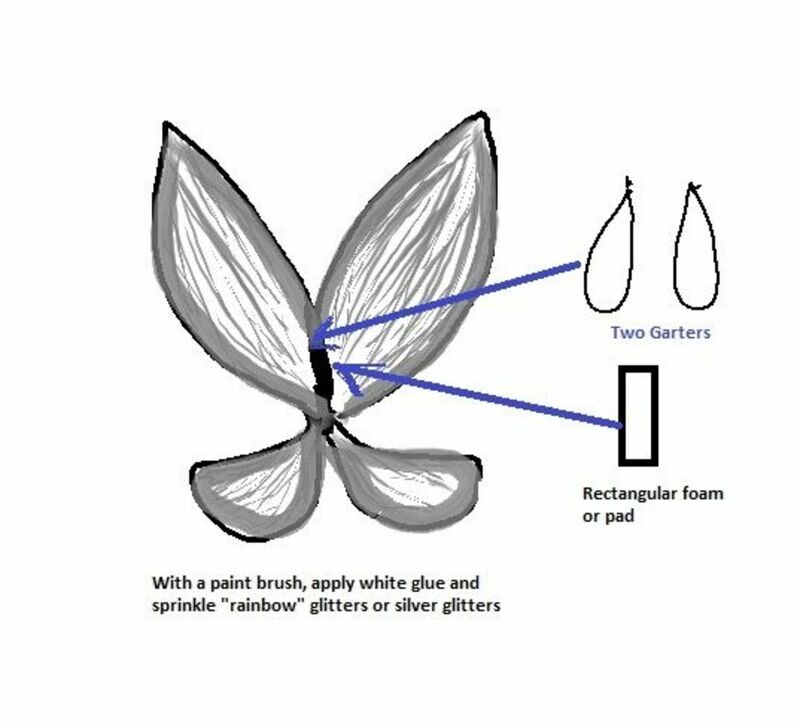 With a glue gun, paste this on the mid-section of the wings (the inner part, that part that will touch your child's back). This serves two purpose: 1. it will restrict the wings from swinging or dislocating from it's desired position and 2. It will prevent discomfort that may be caused by the wires. I pasted rhinestones on the outer midsection of the wings. This will make it more attractive and will hide the wires beneath. She watched me when I was making this wings. She helped along too. Simple tasks like handing the scissors, glitters, etc were big help from her tiny hands. She will be using this wings for a Christmas party. At this time, it still fits her. The wings were a bit big for her then. Themed Christmas parties or themed birthday parties are now common. Thanks God, I do not need to make another costume for her. The "pixie" dust makes it have a "Christmas" touch. I created headdresses and costumes too so don’t forget to drop by when Halloween is near. I’ll be adding more “How To” articles. My next project would be "How to make a fairy wings" or perhaps "How to make an angel's wings." I hope you enjoyed this and you can make your own wings at home. 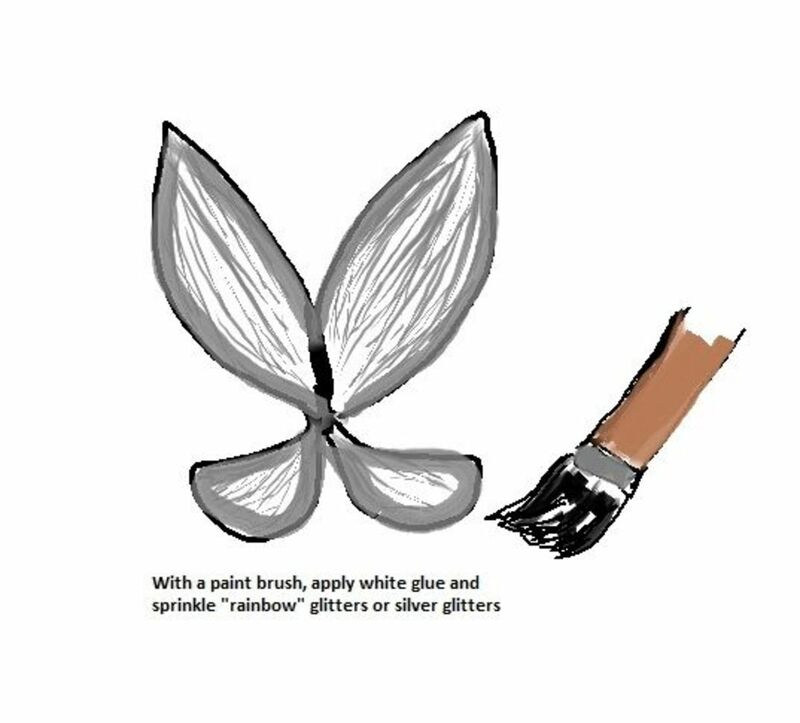 If you you are very enthusiastic in making your own Tinkerbell wings but you cannot really find the time to insert it in your very chaotic schedule, it is better to simply buy it online. Do not feel guilty about not making it yourself. Some moms feel that they are terrible moms just because they cannot put a personal touch on their little princess' costume. Be kinder to yourself. Giving it time to browse and find the right item online is already an effort. I have done the browsing for you. 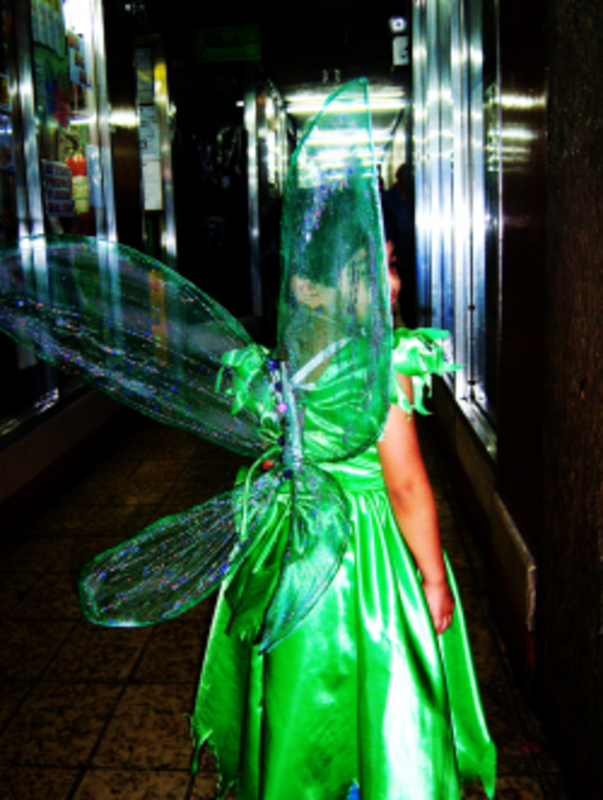 Here is a beautiful green fairy wings perfect for a Tinkerbell costume. My daugther recently purchased a sewing machine, and she's gone hog wild for creating unique things for my grand-daugther, I'm going to introduce her to this article! I'll tell ya how it goes... Thank you for creating this informative content. She would look stunning, I'm sure. Little girls really love wearing wings. It will make her day! I would really feel delighted to see a project like this done by a father. What a lovely father he is. This looks like a great project even a dad could do. 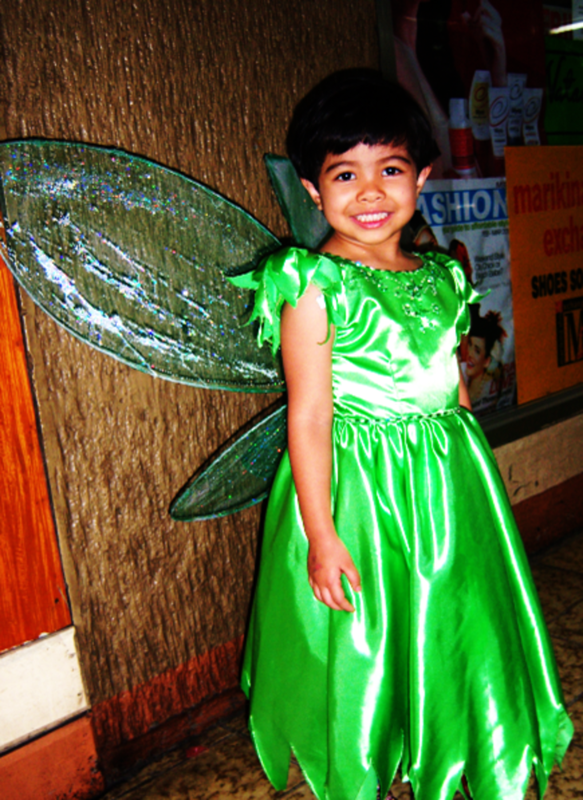 I would like my daughter to wear Tinkerbell wings on her birthday. I believe that my daughter would look gorgeous like your daughter. This is a really good guide! 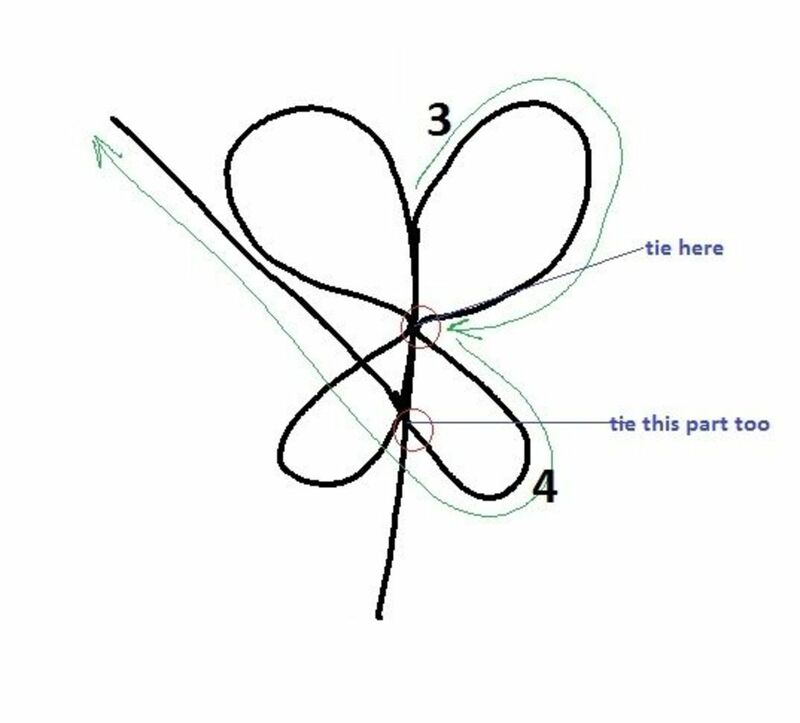 Wow i never knew how simple these were to make, thanks for sharing this amazing guide. So sweet those baby girls!! I would have loved to have had a pair of fairy wings when I was little -still would really! Lovely lens. Uplifting. This lens is wonderful and very informative. I love the pattern pics. They give me a visual and I know I will be able to make these easily. Thanks! Interesting lens. Thanks for your sharing. Hi thanks for the great how-to. You have a lovely daughter. Her smile is priceless. Thanks for sharing these tips! It looks easy to do! Your daughter looks gorgeous in her wings and lovely dress. This is defintiely something I'd try in the future. That is a beautiful green, so shiny! She is adorable and the wings are beautiful!